This year I am co-chair of the school garden with an awesome lady who can name every plant in Latin. (I tend to call it what your grandma did.) As I have in the past two years, I volunteer to teach garden with my own kid's classroom. Now we have two in elementary, so two classes I teach. It has been a contrast for sure, with one class kindergarten and one class fourth graders. Honestly, I was more worried about the little kids. Would they be difficult to corral and keep focused? As it turns out fourth graders are difficult. Kindergarten is awesome. 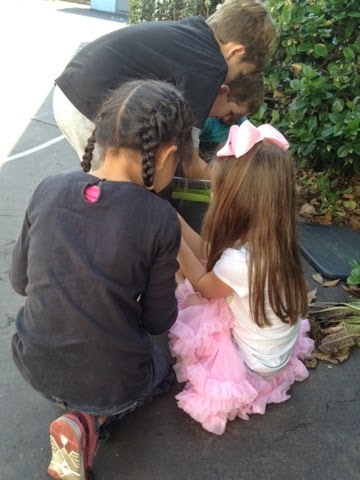 This Thursday we headed out to our little garden to review plant parts and explore. We really needed to water to help our seedlings through the warm days, so with two big tubs full of water and big scoops, we watered. 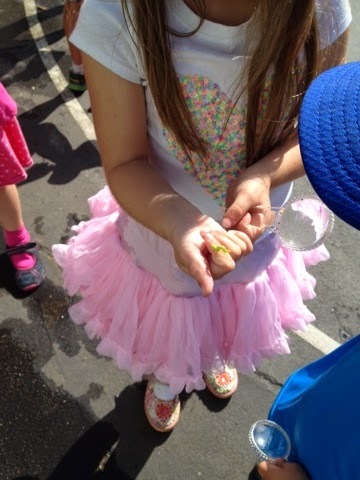 I passed out magnifying glasses as well for them to check out who they could find creeping around and pulled out the worm house so they could find a worm to befriend or as some boys decided "have a battle with a rolly polly". 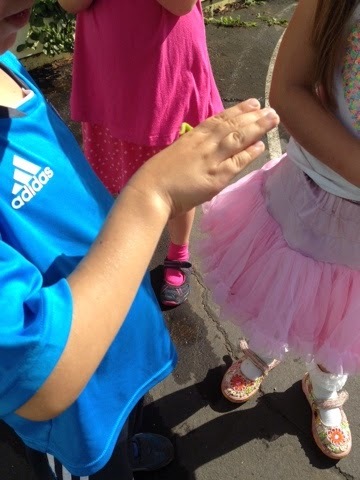 One group found an inch worm and the kids thought it was measuring them as it inched up and down their arms. Last week we watched a Red Backed Jumping spider hunt aphids, this week ants chased a lady bug away from her meal of aphids. Always new adventures to be found in a garden.